Since 2009 when I started channelling, a range of wonderful guides have both communicated through me, and with me. All of them come from evolved star groupings from other parts of our cosmos, such as Andromeda, Sirius and the Pleiades. Most recently, on the morning of 31 December 2018, a group called ‘The Divine 9’ from the Pleiades brought through an uplifting message about the energy of 2019, including tips on how to move through the year with more ease and grace. The Divine 9 describe their mission as being one of supporting humanity in strengthening the connection with our divine aspects, which they tend to call our ‘Illumined Self’ (higher self). Their name, the Divine 9, refers then to this Divine aspect of us, and also to the energy of the 9 contained within the 2019 year, where the focus is on working towards completion and rebirth. When reading their message though, please bear in mind that it was spoken by them through me, and I then typed it up from my voice recorder. So it is a snapshot of the way they speak, which is sometimes very fast. They also often repeat things in slightly different ways to get their message across more clearly. “We are the Divine 9 and we bring through the divinity frequencies – divinity as in your illumined aspects, and we come from the Pleiadian frequencies. The 9 is an energy of working towards completion and rebirth. “2019 contains the 9, and this is a really pivotal year. You will be working towards all that you have been doing, your inner work of this past few years. And so this is an embodiment year, a year of true action and really making it happen. Walking the talk, embodying the learnings and knowings that you have been working through so well and integrating. “Now it is taking all of that and putting it into action. This will be showing up in new relationships that will be forming, so that people will be embarking on new love partnerships, new business partnerships, and you will also see new business ideas and new institutional shifts. Lots of positivity is coming onto the horizon. We are here to gather and share with you everything to do with the 9 energy. “The gateway portal point of 2019 begins to prepare us for the 2020 timeline of the next decade, that is very filled with light and new developments for humankind. We are a collective that come from the Divine 9 constellation of the Pleiades star system that brings forth a frequency of divine expression in human form. “And so what we mean is, the blended human that has their higher-self frequencies more integrated than ever before – this is what is coming for many who are in a space of readiness for this. More and more threads and light frequencies are coming through in the day-to-day, so that you are ‘feeling more yourselves’ – this is what a human would call it – you will be ‘feeling more yourselves’ than ever before. “And what does this mean? It means being online more fully. Being more plugged in more of the time is the goal because it feels good, it feels natural, and you feel home. So you are embodying home here on Earth as you move through your world, and you interact and engage, and you are more and more embodied in your fullest, illumined self. “So this is exciting! Imagine a planet with more and more humans embodying this and living, speaking, interacting and choosing from that energy space. This is a world that is healing itself. “And of course you may ask why does the world look the way it does? Well, we see that there has been so much destruction both on a psychological level, within people’s psyches due to fragmentation and separation. Due to war, conflict, repression, and all kinds of subtle things that affect many people, like working long hours and being in isolation quite often in their separate abodes, and not having that feeling of support and tribe and love that once was the norm in more ancient times for many. “So this community is beginning to return, in a new digital way, and will look different for each person. People are finding their own creative ways to create a tribe, whether this be through an online community or whether it be through groups that they physically go to that they are finding online. “So it’s interesting, isn’t it, if you track the trajectory of humanity, how fascinating it is through all the many civilisations (as you call them) throughout time, how things have been built up and burnt down, and built up and burnt down? “And now, in this world, there is actually so much positivity and so much light lighting up, and so much healing occurring on the subtle planes. And in more tangible, obvious ways, there are also people speaking out, people standing up for things that they believe in, and the vulnerable are being supported in ways that they were not before. “So much is stepping up if you really think about the improvements broadly and deeply from how things were 50 years ago, and how things are now. This would be an interesting exercise would it not, to explore, to really get how things really are improving? “So do not feel that the world is on a trajectory of self-destruction. And yes, Gaia is living and breathing still, miraculously, despite the lack of love and respect that has been shown to her, and a lack of realisation that she is a live being who has feelings. “Still many who are asleep do not realise or even comprehend this, that Gaia is a living breathing being. They may look at trees and grass. They know are growing, but they never have a thought that there is feeling there. So there is this disconnect, yes. “But, at the same time, there are so many who are returning to and rediscovering an honouring of the herbal ways, of foraging, of ways of making things homemade again. The ways of making and creating, and remembering how to do things oneself rather than just buying it all from the shop. “So there is an ongoing process of reconnection, a reconnection within one’s own psyche, a reconnection with each other as humans. And people are being heartfelt and considerate and also moving about the world with more gracefulness and consideration and thought for the livingness of this Earth. So there is so much to celebrate. “So this year 2019, let us see what is going to be the flavour of this year. This has much to do with how you can bring your fullest embodiment out into the world, so this is more a year for being out than being in. “Being in has been the theme for the past few years as people have really gone within and self-sought within themselves. And you may have been going through layers and layers and layers of ancestral and akashic records, to clear, to cleanse, to purify, to face, to bring up, to unearth. And so much courage and resilience has been built as a result of this, yes. “So much resilience is becoming the norm, and do you see now, with this courage and resilience as you step out into the world with your new embodiment of the things you are deeply knowing, the things you have seen and felt and had nudges about to shift and change even in a subtle way. “As you embody them and move them out into the world, and you start to share them as you feel guided and appropriate, this is what you are going to be feeling and seeing: Changes in yourself that feel good, that feel more aligned. Changes that you feel and see in others. Changes that you will begin to see and feel in institutions and collective groupings. “So you see this year, 2019, is more of an outward embodiment, an action year of making things happen. And this could be for you personally to do with changing habits, such as committing to breathing in awareness for five minutes a day. “Really the key is to listen to your personal prompting, your personal need. Moving also out of the mentality that has been common in many aspects of society – the feeling of having to fit in for fear of disapproval or ostracisation. “What you will be finding is that as you follow your true promptings rather than society’s messages (that maybe don’t sit properly or fully with you as an individual). And you will find that you will be seeing this in others also. And you will feel that your values are being more accepted by others around you, and this will be a nice surprise, as they also are learning to step into their personal, new frequencies. “So this is a theme that is coming: more acceptance of the self in its uniqueness, and more acceptance of others, and a celebration of them embodying their uniqueness. And you will find this is more common. And we would encourage you to really allow yourself to encourage in others, where you feel they are calling for support in making changes or looking for any support or encouragement, if it is something that they are personally prompted to do, then that is right for them. “Rather than the thinking mind, it is more what their heart is telling them, or what their gut is communicating to them, or telling them deeply in the body-self that is true and right. No conflict – that is the thing now. We are moving away from conflict and we are moving into Harmony and Unity, and that is the journey we are on as a humanity, from conflict to unity – both outwardly in your culture, between nations, and also inwardly. A mending and a blending of the psyche, of each person’s psyche, as they bring home the parts of them that may have been exiled, bringing them home to be together and aligned and connected. “So this is an exciting time. This is a gateway year, where we move from the inward to the outward phase of action, of really starting to embody all we have been learning. “It should not be too hard in many ways. The key thing is to listen, to really take time to listen, to feel your knowing and feel your truth within you personally. And if you need to take time locked in the bathroom, for example, to be on your own, to feel your personal knowing away from the pressures and voices of others, if you can, this is the most key, important thing: to keep coming back to your personal knowing of what is right for you. Do not feel this is selfish, for it is not. “As you are more your true aligned self, you are more and more a representation of the Love frequency walking the planet. And you are actually being far less selfish as you embody your fullness, as you embody the full love that you can give to yourself, and then allow that to flow through you in your expression as you move through the world – you are being of far greater service in many ways. “So really this is the key, to make time to listen within, even if it is five minutes a day, two minutes a day, perhaps in the morning, and again at night. Take time to go within and listen and, as you practice this, you will find it becomes quicker and stronger and easier. And it is an investment, and you will find that your illumined self, your expanded most evolved expression of yourself is going to be more and more online as you listen. “The more you listen, the more you know what to do and the more you know who you are. The more you know who you are, the more peace you feel, the more loving you feel, the more love you can give, the more you can share, the more you can receive. It’s a win-win. “It is such a small investment of time and attention, absolutely tiny really in terms of the time you have in your 24-hour day. So that is the key – we cannot stress this enough – to listen, two minutes in the morning, two minutes at night. 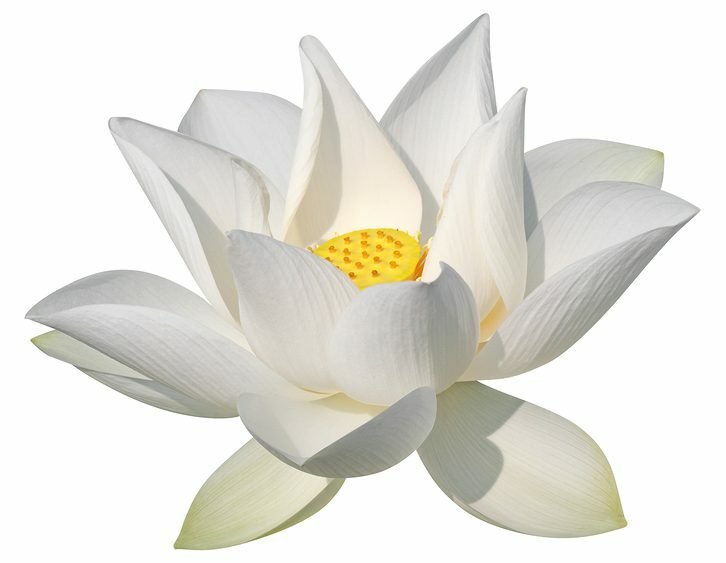 And accompany this with a slower deeper breathing, for this calms the mind and allows your fuller self to come through. Gina Schofield is a channel and cosmic coach based in Bristol. She has channelled guides from evolved star groupings from other parts of our cosmos, such as Andromeda, Sirius and the Pleiades, since 2009. Gina offers personal and group sessions, in which the guides coach and offer multidimensional healing.